I-Team Exclusive: Could Better Barriers at Train Stations Save Lives? When Anthony Prieto emerged from the wreckage of NJ Transit train 1614, he had a fresh black eye and a busted nose. But he still took notice of a peculiarity of Hoboken’s train terminal. There isn’t much in the way of a barrier between the train tracks and people walking on the terminal concourse. "As I was looking back at it, I asked myself a question. 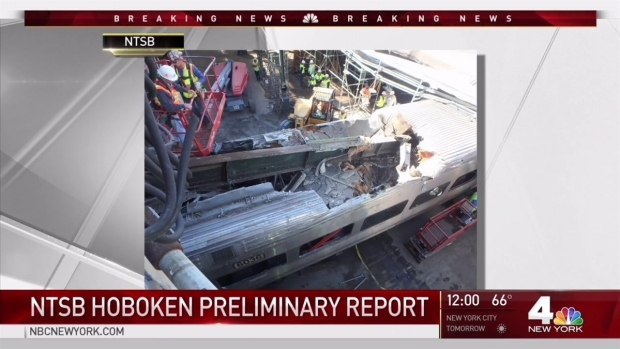 ‘Why wasn’t anything there to stop it?’" Prieto said, referring to the massive commuter train that had just barreled past the end of the tracks and into the terminal wall. It turns out the Federal Railroad Administration, the agency that makes track safety rules, has no regulations requiring that barriers be in place to protect people walking behind the end-of-the-line train tracks. 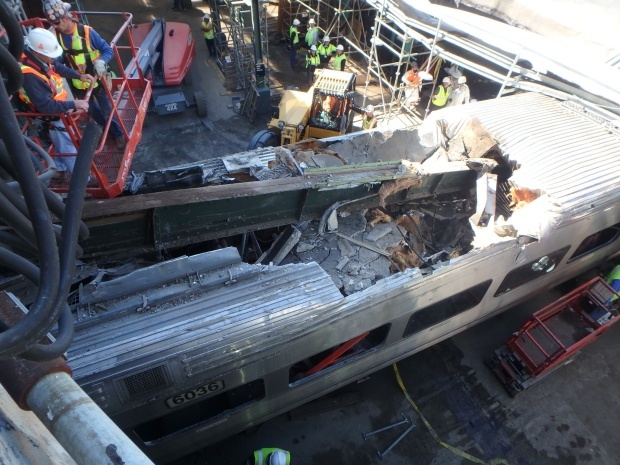 The National Transportation Safety Board released a preliminary report on the Hoboken train crash on Thursday, though it did not identify a cause for the deadly accident. In Hoboken, that leaves a thin metal fence and what are known as “bumping posts” as the last lines of defense against an out-of-control train. Both NJ Transit and the National Transportation Safety Board declined to share any information about bumping posts at the ends of the Hoboken lines. Citing the ongoing investigation, neither agency would say how old they are or how much impact force they are designed to absorb. Photos obtained by the I-Team show the bases of the bumping posts are often rusting and corroded. But there are other types of barriers that could reduce an out-of-control train’s force of impact. Several vendors make buffers that utilize friction or hydraulic power to slow down speeding trains. The friction buffers are usually positioned several yards from the end-of-of the line and have metal shoes that are connected to the rails to slow down runaway trains as they approach. The hydraulic buffers operate like giant, stiff springs attached to concrete barriers at the end of the line. There are some models that can bring a 25mph train to a halt but most buffers are designed to stop trains going 5 – 15 miles per hour. 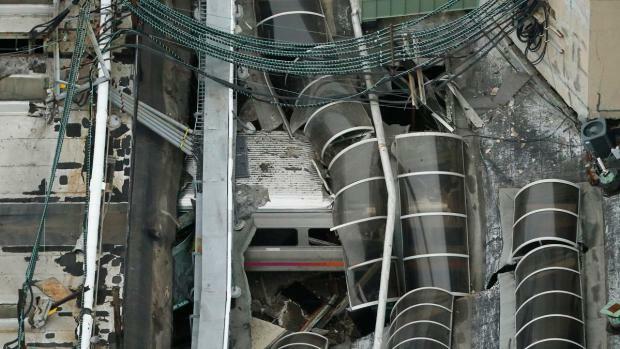 The doomed NJ Transit train was traveling 21 miles per hour when it crashed through the bumper post. Even when a buffer can’t stop a runaway train, experts say friction or hydraulic buffers can at least provide some resistance. “The nice thing about a buffer stop is that there is energy absorption. Even if you overwhelm its design, you’re mitigating the force,” said Scott Wordtmann, President of Skelton Metals, which manufactures various models of train stoppers. Inside the Hoboken Terminal, the I-Team spotted what appears to be one friction buffer affixed to Track 15. But the crash took place on Track 5. At the ends of three other Hoboken tracks the I-Team spotted large concrete barriers, but there were no hydraulic buffers attached to them. A vigil held for the victim of the Hoboken crash as new details emerge in the investigation. Stefan Holt reports. Prieto, who has filed a notice that he intends to sue NJ Transit for his injuries, questions why the railroad operator doesn’t have more friction buffers or concrete barriers to absorb impact.